By LUDWIG VON KOOPA - On the way for gaming addicts to get the treatment they need. The dark underbelly of the videogame industry that I've been talking about for years is finally getting some top-level medical recognition. I'm talking about gaming addiction. 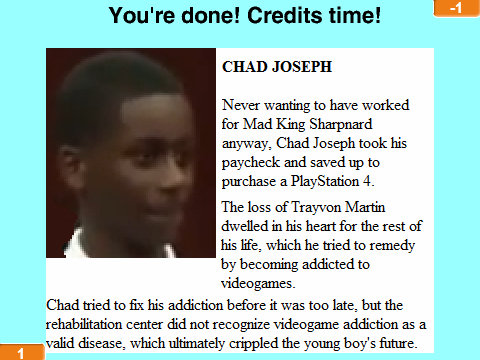 So, gaming addiction recognition. The World Health Organisation (WHO)'s publication, the International Classification of Diseases (ICD), will include the condition “gaming disorder” for its 11th edition due this year. To qualify for the condition, it appears that you will have to be gaming so much that you put gaming over other life pursuits, despite negative consequences. You also won't be able to control how much you game. A lot of other media sources stop the story there, but we'll keep going and explain what that actually all means. You might be wondering what the ICD actually is. It is a big book of all the diseases in existence, and they all have codes, like, a letter and numbers. At least in the United States of America, those codes are primarily used for when nurses and doctors need to process insurance claims. For actual mental-related diagnoses, American medical professionals (psychiatrists) use the Diagnostic and Statistical Manual of Mental Disorders (the DSM, currently in its fifth edition), published by the American Psychiatric Association. The DSM provides a set of criteria you need to meet to be diagnosed for a mental disorder. As the DSM's name states, it is only used for mental disorders, as opposed to all diseases. That means the commentary on videogame addiction wasn't seen by most of the people who played the game. Sad! Obviously, gaming addiction falls under a mental disorder. The DSM and ICD are set up by totally different organisations, but their publications are kind of converging. There are differences between them for sure, but they do watch one another, with the DSM publishing how ICD changes affect an American psychiatrist. I mention that because the ICD change most likely won't affect you until the DSM catches up, if the DSM chooses to. Currently, the DSM has “Internet gaming disorder” as a “condition for further study” for now. I guess we'll have to see how the further study goes. I see gamers freaking out because they see this as a “they are trying to take games away from us!” hysteria, which... clearly demonstrates just how much people have no idea about mental health. Being able to diagnose people with problems and get them treatment — and believe me, this is a real problem — is only a good thing. Ludwig avoids psychiatrists because he is scared of being drugged up. You can't be diagnosed with anything if you avoid health professionals! Ludwig is having his first doctor's appointment in three years next week, so all of his avoidance will probably come back and get him committed to a hospital for a series of untreated illnesses. He never saw a doctor besides Kamek (who isn't a doctor) for the whole Zika thing... If KoopaTV suddenly stops publishing, you'll know why! Could a person who is diagnosed with a gaming disorder file for disability? I am asking for a friend. Compulsive gambling is specifically excluded as a disability in the Americans with Disabilities Act, and I'd say that's the closest comparison.